AN innovative piece of livestock production technology which made an appearance among trade exhibits at the BeefEx feedlot industry conference recently has scooped three national awards. The Automed automatic livestock medication system has been on the market only since 2015, but was first conceived a decade ago. Automed principal David Edwards collects his company’s awards at the recent iAwards diner in Canberra. The system calculates the optimal medication for each animal, administers the dose and automatically records the data. It is a traceable, tamper-proof way of auditing drugs and treatments given to cattle and other livestock from birth to slaughter, and potentially signals the end of under-dosing and over-dosing. Automed links a specialised applicator which synchronises with a specialised operating system, capturing all treatment data for each animal, linked via NLIS devices. The applicator, weighing about 400g, is suitable for injectable, pour-on and oral medications. 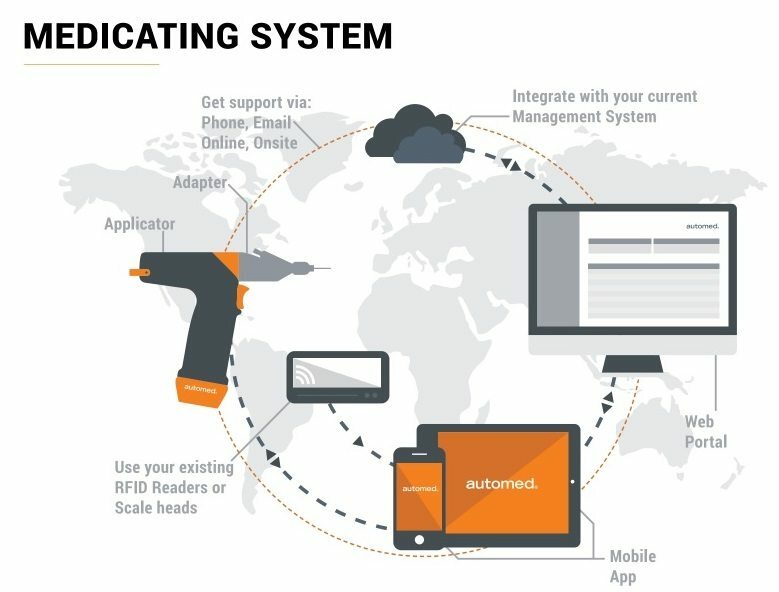 The operating system integrates easily with existing farm tools and management systems. It also securely syncs to the cloud, and can be accessed both online and offline from anywhere at any time via PC, mobile or tablet. The Automed App is the central control, allowing users to synchronise newly-recorded treatment data with the Automed OS web portal. From this, operators can completely control, configure and manage the Automed applicator. It also allows users to accurately manage medication inventories, ensuring effective traceability between drug and animal health treatment inventories and animals. The Automed web portal is an online central repository for all medication records. This allows securely stored records to be transferred to a users’ other computerised management systems. Livestock producers can view data about the medication administered to their livestock via desktop computers and smartphones. 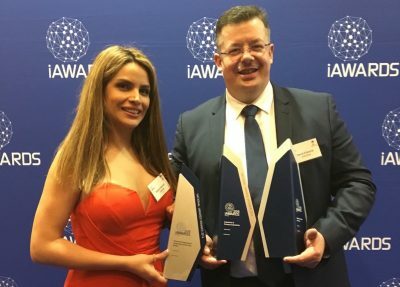 At the recent Australian Information Industry Association’s 2016 iAwards, Automed won the Industrial and Primary Industries and Mobility Innovation of the Year categories, as well as taking out the Inspiration of the Year Award. “What these awards mean for Automed is that not only does the livestock industry see the value and future of the technology, but so does the public,” Automed founder and chief executive David Edwards said. He said the company was expanding well within Australia and the US across the beef feedlot and pork industries. The next four years would see the technology rolled-out across Europe, Asia, Australiasia, and North and South America in the extensive cattle grazing, feedlot, sheep, pork and dairy markets. “Winning the awards has been massive in terms of social media, awareness and potential future partnerships,” he said. Readers can learn more about the Automed system here.